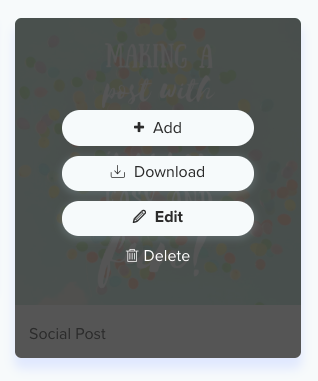 You can edit your posts in a few different ways! To edit one of your designs, go to "Content" and "My Designs" and click "Edit". To edit a queued post, go to "Timeline" and "Queue" and click "Edit". To edit a suggested post, go to "Timeline", "Suggested" and "Edit"!